Fendi check dress with floral print. 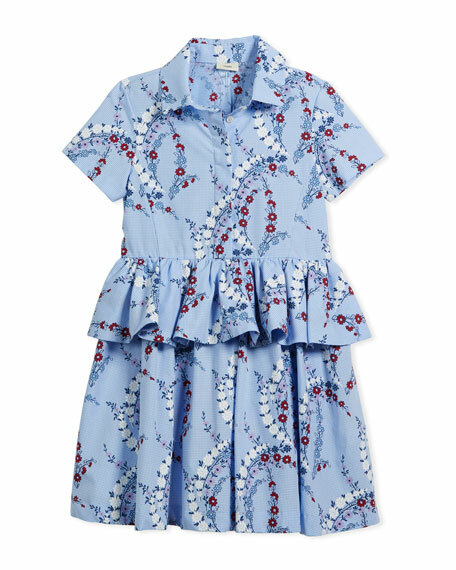 Elie Tahari "Ava" floral-print silk dress. Surplice V-neckline. Short sleeves; flared cuffs. A-line silhouette. Knee-length hem. Hidden back zip. Silk. Elie Tahari "Ava" floral-print silk dress. Surplice V-neckline. Short sleeves; flared cuffs. A-line silhouette. Knee-length hem. Hidden back zip. Silk. Polyester lining. Dry clean. Imported.